I almost never give my nieces and nephew gifts on Christmas (or their birthdays). I’m kind of a bad aunt that way. Instead a few years ago I started a tradition of making them an advent calendar. I started it because I thought it would be fun one year, but now it’s expected on December 1st there will 24 gifts for them to open. This year I created a little DIY advent calendar kit. 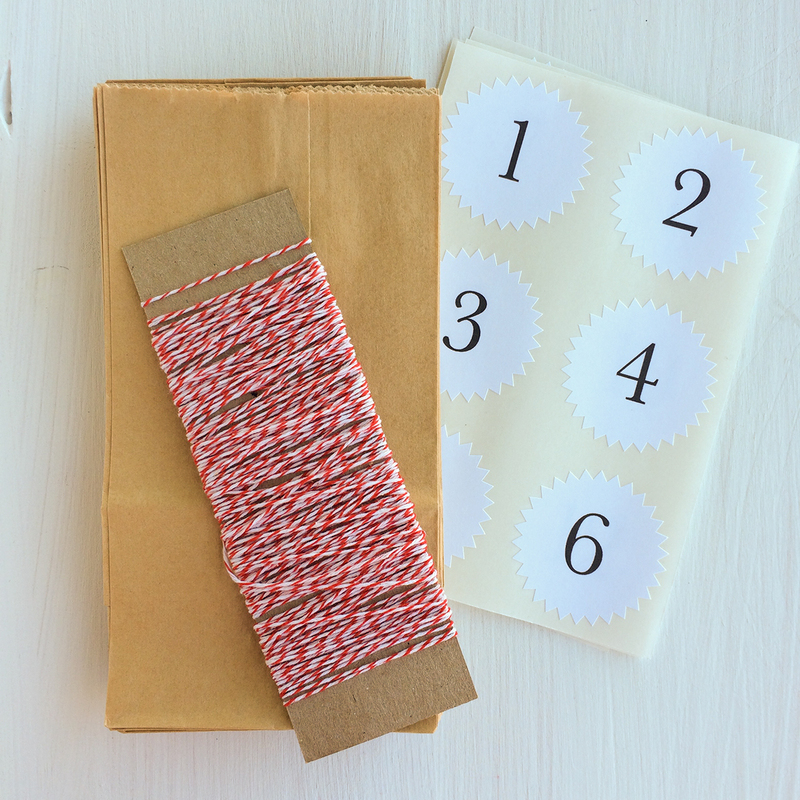 It comes with almost everything you need to create a simple calendar – bags, stickers and twine. All you have to add is the gifts and optionally some kind of clips. I’ve used the little bags for the past couple of years and they work great for me. The bags fit a nice size gift without being too big for a couple pieces of candy. There’s plenty of ways these calendars can be displayed – on a wall, a large board or just sitting on top of a sofa table or dresser. The kit comes with 50 feet of twine, giving you plenty to work with. The first few years it took a lot of thought about what to give, but I have developed a kind of formula over the years. 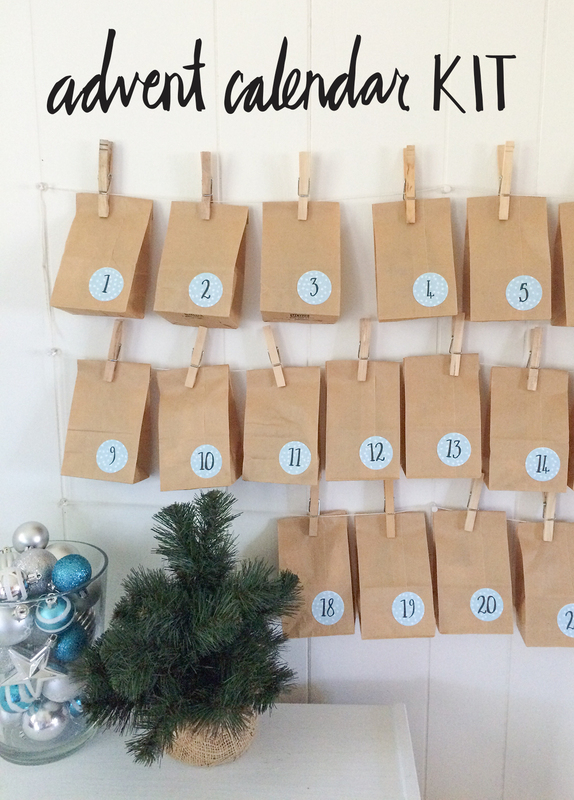 There are 3 kids and I do a 24 day advent calendar, so that gives them each 8 gifts. I alternate kids everyday (marking the bottom or back of the bag with their initial). ornaments – most years I try to make or buy an ornament that reflects the year or is special in some way. Sometimes I give a larger gift to each kid like a promise to bring them to the movies or an itunes card. If they were closer I would give a couple of gifts that were more experience focused like view holiday lights or making them their favorite dinner. 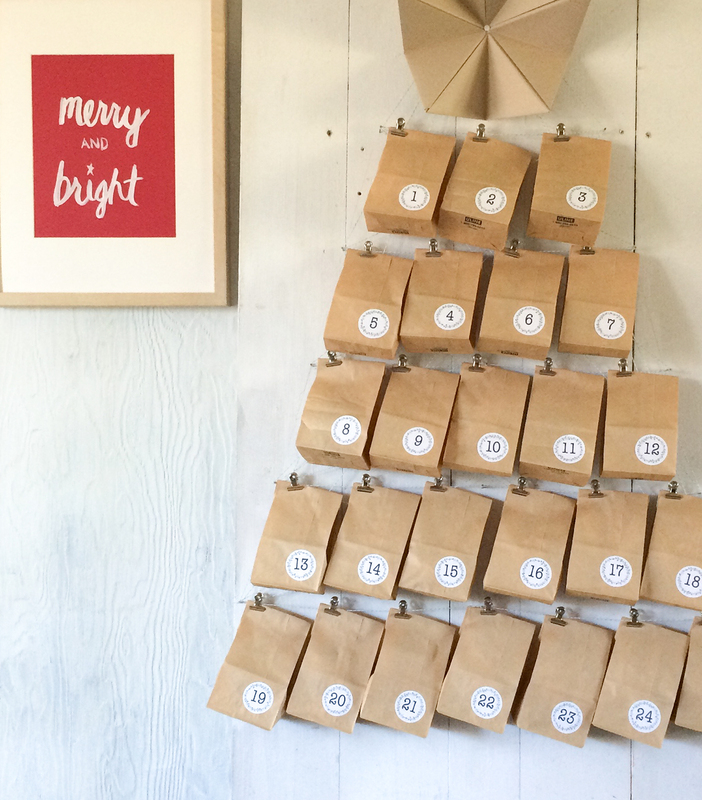 I hope you’ll consider making an advent calendar this year. It’s fun to know even though I don’t get to see them everyday, for 24 days they are getting a little gift from me.